Serving Boise, Meridian, Nampa, Kuna, and Caldwell with family owned quality and care since 1909! We’ve been keeping the Boise, Meridian, and Nampa warm since 1909. We’ve earned the Treasure Valley’s trust through our work ethic and attention to detail. Our family installs and repairs all makes and models of furnaces, boilers, heaters, rooftop units, and other heating equipment-- and we’ve been doing it for over 100 years! We have the experience and dedication to get the job done right the first time. Let our family take care of your family. When it comes to keeping your home warm and toasty, we take a long-term approach. That’s why we help you choose the right heating unit for your home-- one that will serve you for many winters to come. We use quality materials that stand the test of time. And, just as importantly, our installation work meets or exceeds industry standards in terms of organization and attention to detail. The quality of our work and materials means all necessary maintenance can be completed quickly and easily, and will save you on costs for the entire lifetime of your system. If you need to install a new heating unit, or replace an existing one, our technicians can help you find the right model for your needs. We aren't brand-exclusive, so you can feel confident knowing you're getting unbiased advice from a professional. Is your current furnace, boiler, heater, rooftop unit, or other heating equipment malfunctioning? We won’t keep you waiting in the cold. We offer 24/7/365 emergency service, and can even get a technician to you today if needed. Click here to request service online or over the phone! Your family’s warmth and satisfaction are our family’s highest priorities. Our technicians are certified for heater repair and installation, and we hold them to the highest standards of quality. When you work with Drake Mechanical, you're treated like family. In addition, Drake Mechanical is the home of the true "One-Year Guarantee." If you are not 100% satisfied with your new heating or cooling equipment in the first year, we'll buy it back. Your satisfaction is guaranteed. At Drake Mechanical, we’ve been passionate about our quality service and keeping the Treasure Valley warm for over 100 years-- but our passion doesn’t end at delivering top-notch service to families all around the Boise area. 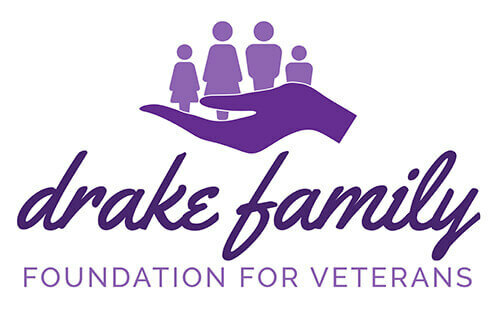 We want to support the community that’s trusted us for over a century, and that’s why we created the Drake Family Foundation for Veterans. Every time your family works with our family, a portion of that work goes to support the men and women in uniform who put their lives on the line for our country. Whether you need heater repair or installation, we want to make sure you’re happy and warm. Regardless of which service you're looking for, we're here to help. Click below to get in touch online, view our phone numbers, and find all of our other contact information. Is this an emergency? Call 208-362-6200 for 24/7 Emergency Services! Need a more efficient heating system? Radiant floor heating is customizable, comfortable, and saves on energy costs. Whether you need an install or repair, our family has you taken care of. Modern electric heaters are quiet and efficient. If you’re looking to install or repair an electric furnace, Drake Mechanical can get the heat on in no time. An energy efficient, quiet unit that can perfectly suit your home’s exact heating needs-- that’s a modulating gas furnace! We have you covered on installation, repairs, or advice. Drake Mechanical is an A+ rated BBB Accredited Business.